You know how it is... you really get into a show. It has great characters, compelling writing, and intriguing plots, and it all feels as if it is leading up to something amazing. Then you get to the end of the season, and things suddenly escalate amazingly. Surely, there is no way they can wrap all of this up before the end of the episode? Of course there isn't... Cliffhanger time! Guess you will have to wait until the fall to find out what happens next. Who is to blame for this? Well, first of all, why are there so many season ending cliffhangers? For that, I surmise that we have Star Trek: The Next Generation to blame. With the success of The Best of Both Worlds, where people spent their entire summers wondering if Picard would survive, and how the Enterprise crew would defeat the Borg, it was obvious that a golden formula had been hit upon! So perhaps we cannot blame other shows for wanting to emulate this. Still, cases like Alien Nation or Farscape, where we eventually do end up getting some resolution, are few and far between. 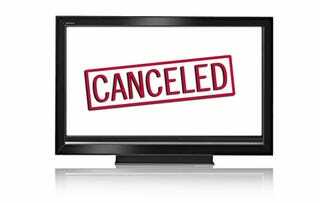 Too many great shows are canceled on cliffhangers! It is time for this to stop! Perhaps there should be some rule in scripted television that, unless the producers of a show have a signed contract for the next season in hand before filming a season ending cliffhanger, seasons must be ended with episodes that, if worse comes to worst, will also work as a series finale. Mind you, this does not mean I am against serialized story telling. And in extremely serialized examples, some threads will have to be left for the following season. But unless you're pretty sure the following season will happen, maybe don't leave too many big threads between seasons? I mean, how much would it have sucked if Babylon 5 had been canceled after season 3? Although I do gime JMS credit for, when it looked as if it may happen after season 4, trying to wrap things up as best as he could! Yes, it may have lead to a slightly weaker season 5... but I'd rather have that slightly weaker (but still good, overall) season 5 then hypothetically have had it actually be canceled after season 4 and never have gotten to find out what happened next! In the meantime, let us console each other by sharing some pain! What is your worst example of a show that you loved ending a season on a cliffhanger and never coming back? (Beware, of course... there will be spoilers here! So please name your show, in bold, before saying anything else! Gives people a chance to maybe see the name and scroll past if they want.) Only rule is it has to be a cliffhanger that has not been resolved in any fashion (excepting, perhaps, Word of God telling us what might have been). The AI John Henry, using Cameron's chip to allow himself to become unplugged, has apparently traveled from the present into the future. John Connor and liquid metal terminator Cathrine Weaver (who seems to be developing John Henry as an AI to compete against SkyNet) follow John Henry into the future, while Sarah deliberately remains behind. We find John and Cathrine in the post-Judgment Day future, but as humans come up Cathrine suddenly disappears and they find John alone. Amongst the humans is Derek Reese (brother of Kyle, John's father) who had been killed in the previous episode, but is still alive here and does not recognize John. In fact, none of the humans have ever heard the name "John Connor." Derek then mentions his brother, and John turn to see Kyle Reese. And with Kyle... is that Cameron? It can't be, as that dog is seeming quite friendly towards her (and, as we all know, dogs hate terminators), so it has to be a human: Allison Young, the human that Cameron had been patterned after, and who (like the Reese boys) had also previously been known to be dead. So, folks... What do you think? Should shows stop relying on season ending cliffhangers so that we can avoid this nonsense? And in the meantime, what is your most frustrating cliffhanger story? Note: Wow, this article got popular real fast! I am trying to keep up with the comments, and as someone often stuck in the greys in other areas of the Kinja-verse, I know how frustrating that can be! If I don't get to you, my apologies. In other news... To any commenters (of which there have already been more than a few) wishing to say, "The Best of Both Worlds? What about Dallas with Who Shot JR? They did it first!" I concede that I honestly just didn't think of that one while writing my post, and yes, it was a pretty big thing back in the day. But I would counter that cliffhangers have always been a big part of soaps, and for more then just the end of a season! But what Star Trek: The Next Generation did with The Best of Both Worlds was to show that cliffhangers could be used, and used successfully, in other genres of television. And so, I think it is still a worthy example as a trend setter.